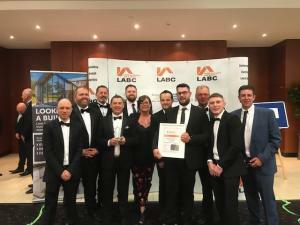 Compendium Living and our construction partner Lovell were delighted to win a regional Local Authority Building Control (LABC) Building Excellence Award in May. The Leeway (site 3b) in Ings, Hull won ‘Best 20+ New Housing Development’ at the South Yorkshire & Humberside regional awards. 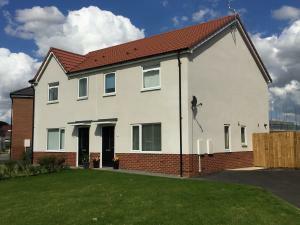 This phase of the Ings regeneration project is a high-quality development in partnership with registered provider Together Housing Group and Hull City Council. The Forest Pines Hotel and Golf Resort in Scunthorpe hosted the award ceremony on May 18th. 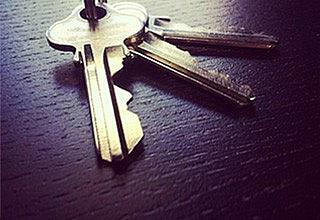 The 83 new homes were all affordable, with 68 houses for affordable rent and 15 for shared ownership. Many were used to re-house people living in parts of Ings due for redevelopment in later phases of the project. Dave Bullock, Managing Director at Compendium Living said: “We are delighted to win this award for The Leeway 3b. Ings is a major regeneration project, and we are thrilled that the development has received such recognition. The Ings team are already looking forward to the national Finals in London on 9th November.